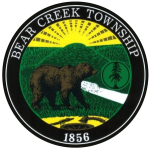 Bear Creek was first settled in the late 18th century. The first log cabin was built in 1786 (about nine miles from Wilkes-Barre). Bear Creek, with its abundance of trees, became the lumber king of Luzerne County. The first sawmill was built in 1800 by Oliver Helme. Many more sawmills were later constructed throughout the 19th century. 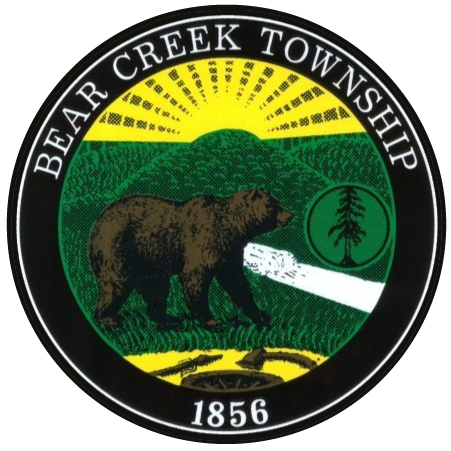 Bear Creek was later incorporated as a township in 1856; it was carved from territory taken from Wilkes-Barre, Pittston, Bucks, Plains, and Jenkins. By 1890, the community had a population of 343. 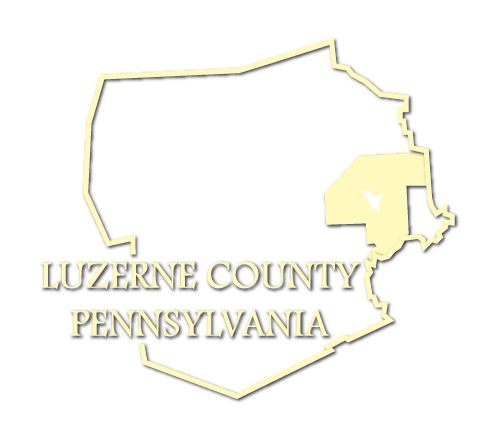 Bear Creek Township has a total area of 67.8 square miles, making it is the largest municipality (by total area) in Luzerne County. The population was 2,762 at the 2016 census.